So, this is what peace looks like? 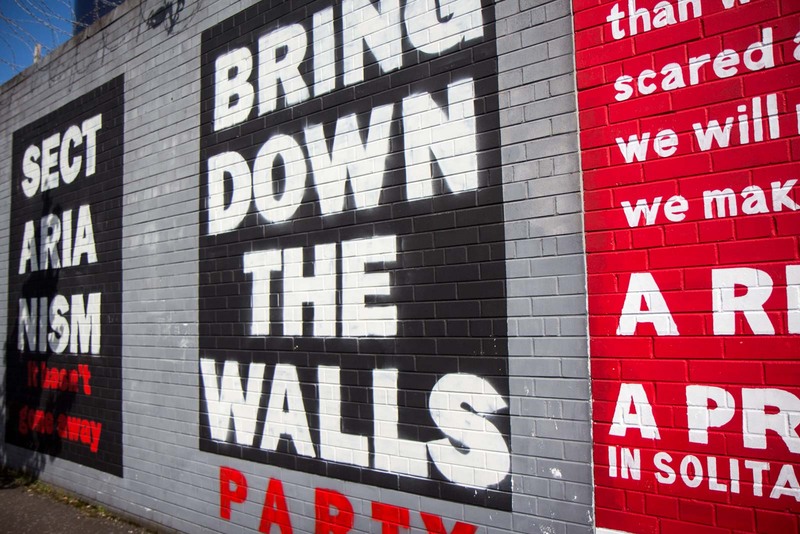 It’s been 20 years since the troubles officially ended in Belfast but the divisions in the capital of Northern Ireland are still clear for everyone to see, as you’ll soon realise if you visit the Peace Wall yourself. 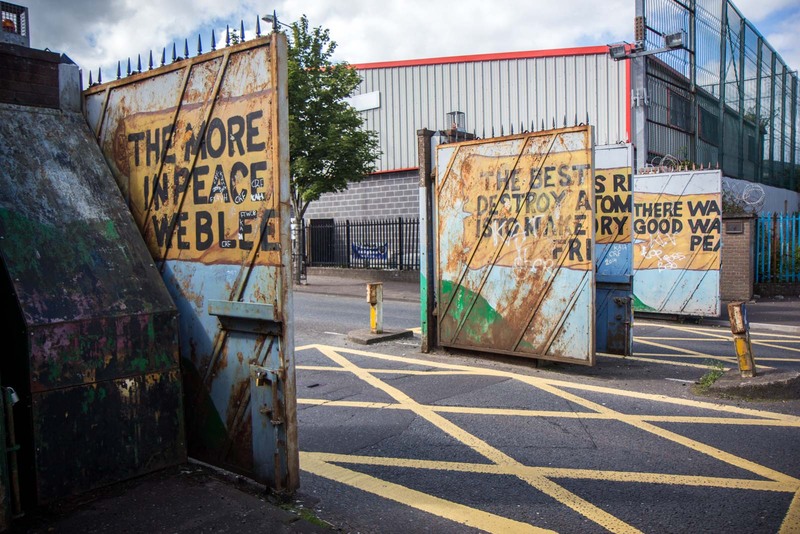 This is what peace looks like in Northern Ireland – communities separated by a wall up to six metres high; gates along its length that are still locked at night; and artwork painted on either side that talks of harmony but with messages of revenge or oppression. The streets may be quiet these days, the sounds of gunshots or bombs silenced, but the streets are still divided. Physically, at least. Everyone I speak to in Belfast refers to the city’s violent conflict as ‘The Troubles’. It’s a simple and non-inflammatory way to describe a period that some people would prefer to call ‘a war’. Perhaps it helps the city heal a little, but it glosses over the gravity for outsiders who don’t know all the history. More than 3,500 people were killed during ‘The Troubles’ and about half of those deaths were in Belfast. About 50,000 people were injured. The walls that tried to separate the warring groups still stand, as a reminder of the past and a symbol of the present – that the violence may have pretty much stopped but the emotions that fuelled it are harder to demolish. 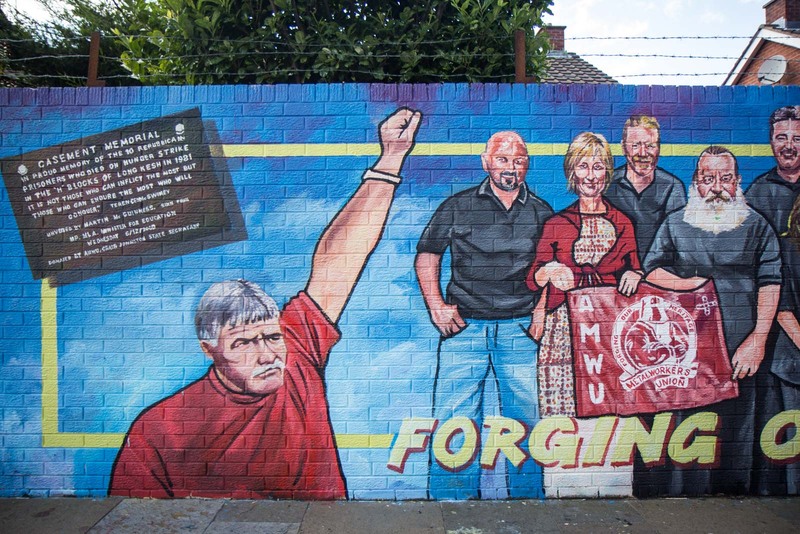 Sometimes the conflict is painted as a sectarian argument – between Protestants and Catholics – but it’s really all about politics. It’s about whether Northern Ireland should be a part of the United Kingdom or a part of the Republic of Ireland. A peace may have been eventually negotiated but it’s even harder to change political views. That can take generations – if it’s even possible. And so the walls remain. There are at least 40 of them through Belfast, separating suburbs that are predominately unionist and nationalist. If added up together, they run for almost 30 kilometres in total. 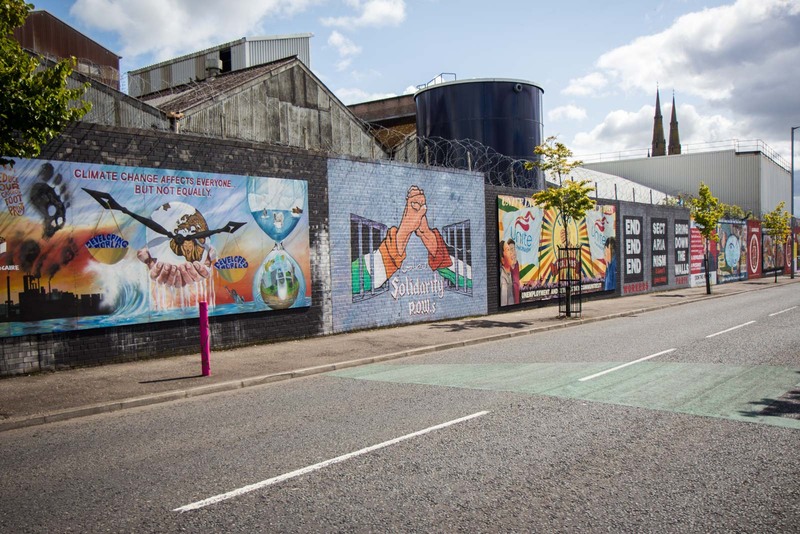 The most famous of the ‘peace walls’, as they’re now known, divides the Falls and Shankill Roads in the western part of Belfast. It runs for several kilometres and is interrupted at several junctions by enormous metal gates across roads. At the height of the troubles, these were used as security checkpoints. Today, some of them are still locked at night to control movement. 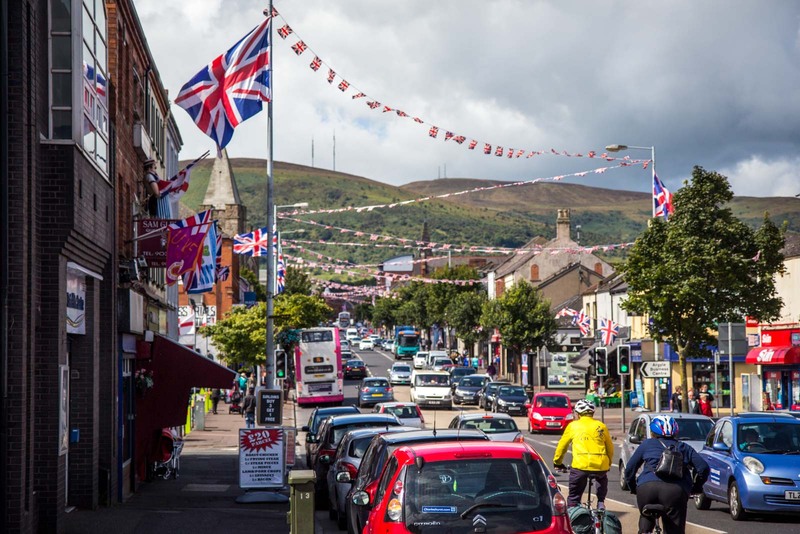 Visit today and still, on the Shankill Road side, Union Jack flags hang from houses and poles on the street. Ropes tied across the main street proudly display flags with the British colours and images of the Queen are everywhere. It’s impossible not to know the loyalty of the people who live in this part of the city. Go to the other side of the wall, through one of the open gates, and there’s not a trace of red, white and blue. 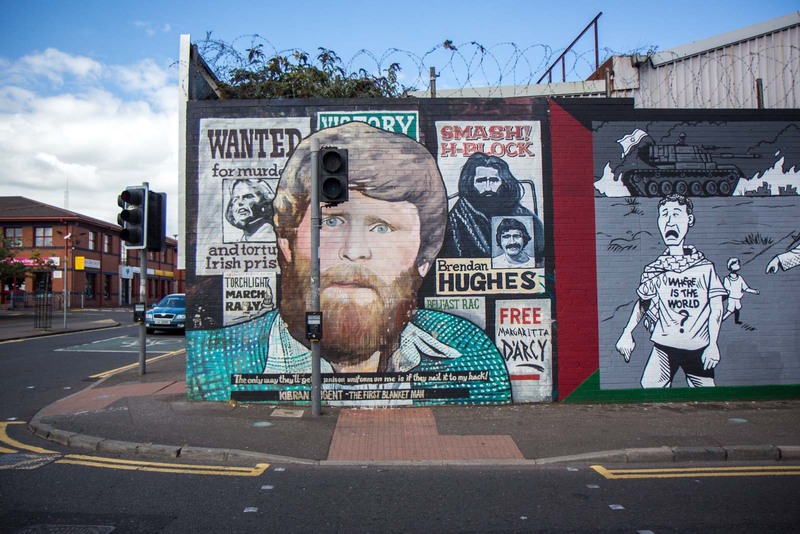 On the Falls Road side, you might expect to see Irish flags – and there are some – but there are actually more Palestinian flags or images of Spain’s Basque country. The imagery here is about stolen land, and Belfast’s nationalist community finds commonality with dispossessed people as much as they do the Republic of Ireland itself. Along both sides of the wall these days are painted murals and they say a lot about where the sentiments of the communities currently are. On the unionist side are images of peace, calling for calm and cooperation. It may be easy to have that approach if you’re on the ‘winning’ side – Northern Ireland is clearly still part of the United Kingdom and that is what these people want. On the other side, just centimetres through the concrete but miles away from that way of thinking, are the murals of the nationalists. These paintings continue the struggle with depictions of political prisoners, heroes who died fighting for their cause, and global icons of a campaign against oppression. There are no calls for peace if peace means giving up. 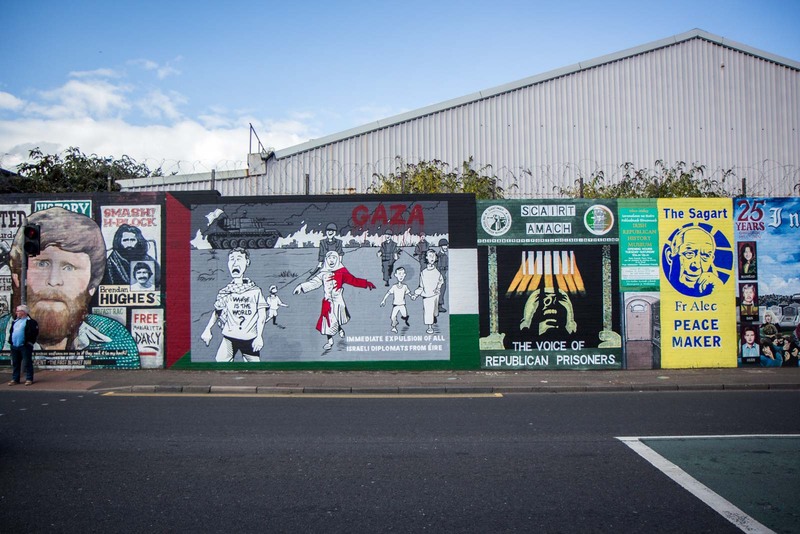 However, these murals have become a tourist attraction in themselves and that raises the awareness of the conflict and the feelings of the communities on both sides. 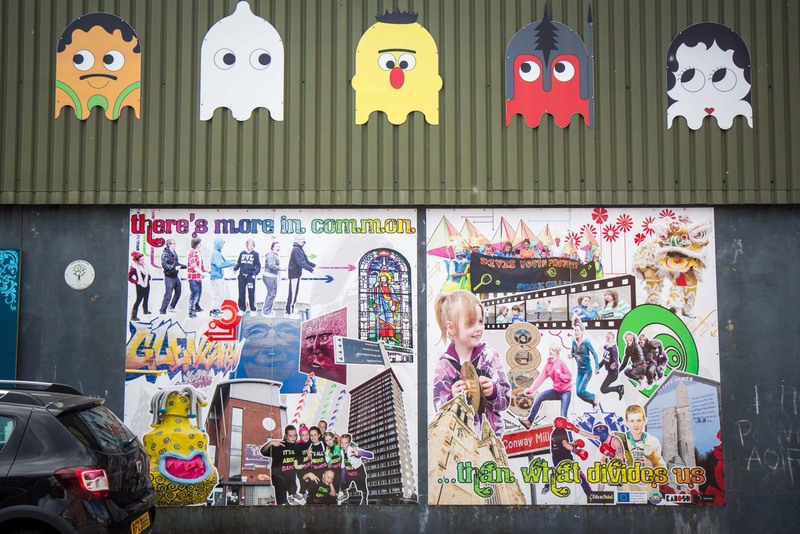 A popular activity for visitors is to take one of these Black Cab Tours of the Peace Walls where a local will explain the whole story. 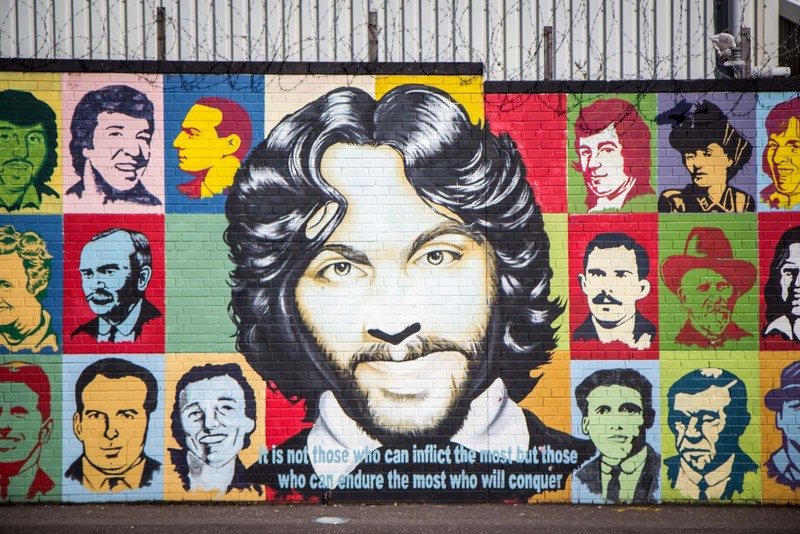 It’s now been 20 years since the official end of The Troubles – the Belfast Good Friday Agreement of 1998. There is some discussion about removing the walls but there is widespread disagreement about whether that’s a good idea. 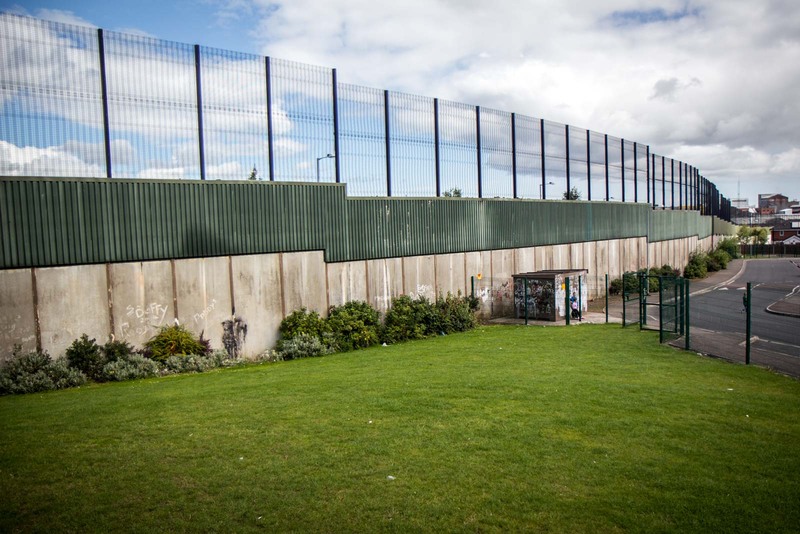 The first walls were erected in 1969 and there are whole generations in Belfast that have known nothing else but these large concrete divisions through the city’s society. The murals may soften their look somewhat but the bitterness between the communities remains. 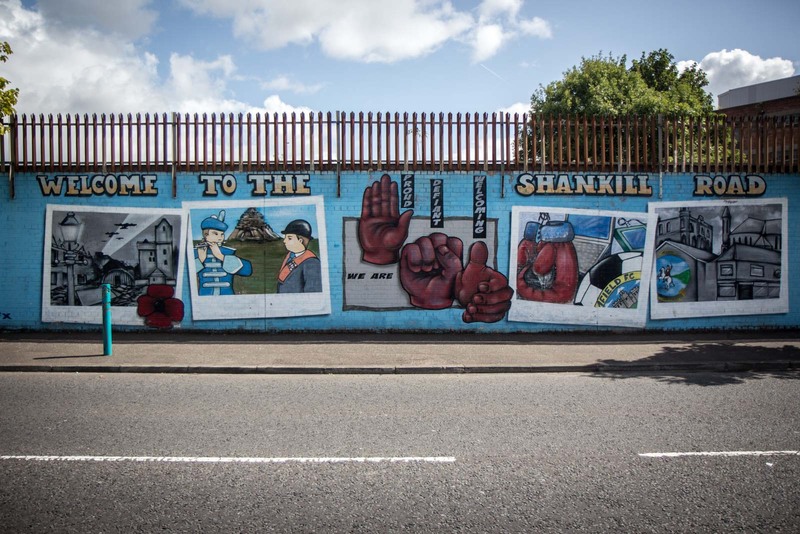 I’ve read a few interviews with people living in both the Shankill Road and Falls Road areas and a consistent view comes through – that lives will be lost if the barriers are removed and that ‘civil war’ could be unleashed. For those on the frontlines, the removal of the walls is not a popular idea. And so this is what peace looks like in Northern Ireland. Enormous walls built more than four decades ago to stop violence have played a part in achieving that aim. But they continue to have an important role in keeping things that way, maintaining the uneasy equilibrium that Belfast now finds itself in. 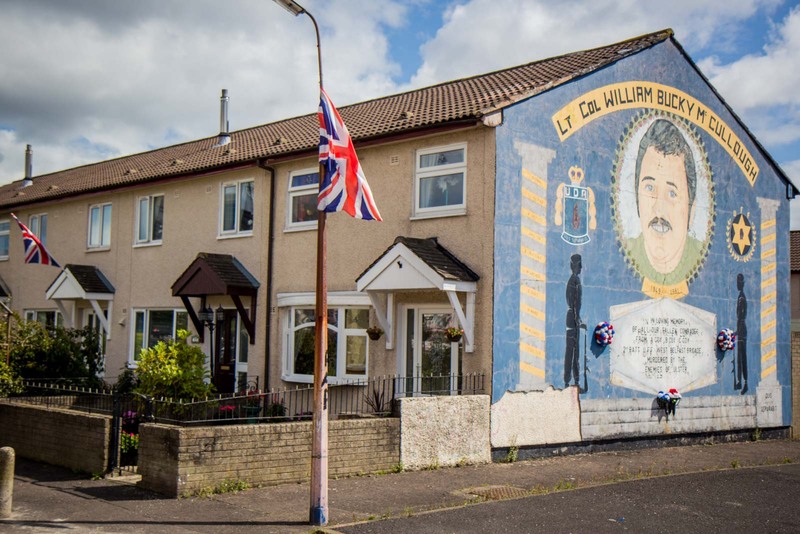 The ‘war’ may be over, ‘The Troubles’ may have officially ended but there’s still a big divide in Belfast – and it’s more than just the stretches of concrete. 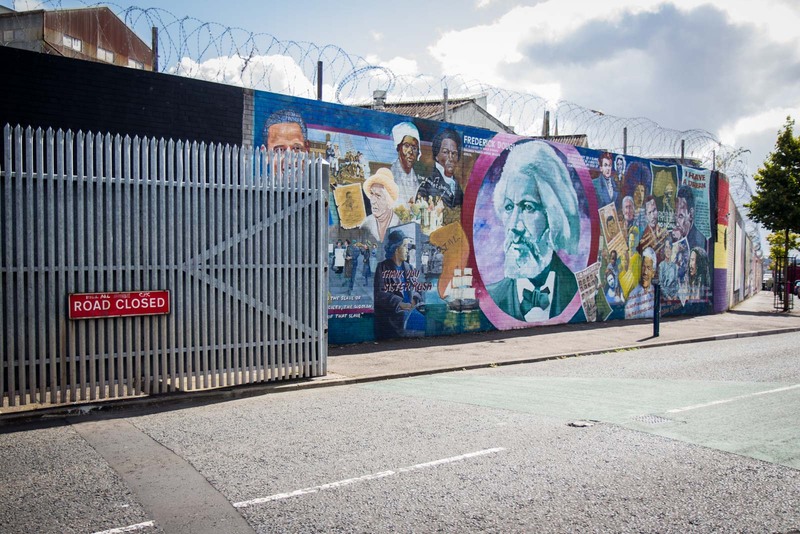 It is quite easy to walk from the centre of Belfast to the main Peace Wall the separates from Shankhill Road and Falls Road communities. From here, you can do a loop around the wall and see the murals on each side, plus get a sense of the different areas. I have put together this map to help you plan a walk. I’ve also included the locations of all the photos that I’ve featured in this story. If you’re using your smartphone, just click on the icon in the top right to open the map in your Google Maps app and all of the markers will load up. Then, as you walk around, you can see whether you’re close to something significant and you can go and have a look at it. It may seem odd to treat this as a tourist attraction – and it is certainly wise to be sensitive to the issues – but I believe that it’s only by learning about these kinds of issues that we may be able to prevent more ‘troubles’ in the future. I have never such neat (and of course gorgeous) murals on street walls! 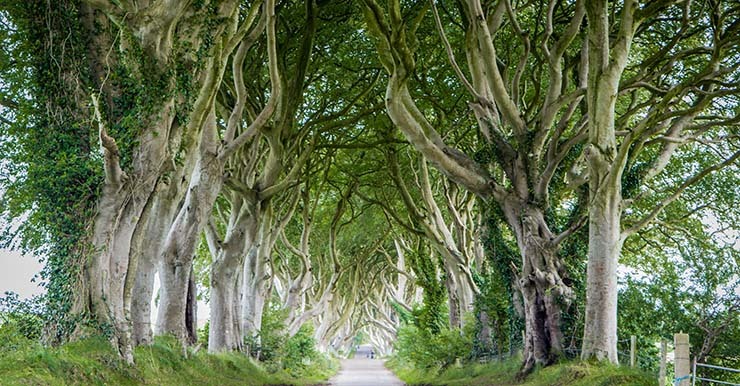 Thanks for introducing a quirky side of Ireland. Wow, very interesting post. Powerful messages with very good art. Must have been an experience to walk the streets seeing these! Great post! 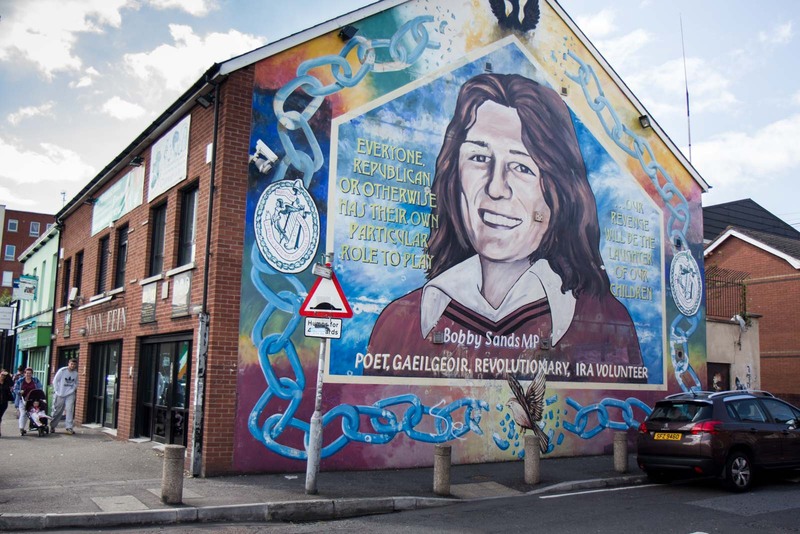 I was last in Belfast two years ago and saw many of these murals. Really impressive, indeed. I heard they had been painted over, but clearly I got it wrong. It would be a shame to lose these portraits of a past no one is proud of, but that shouldn’t be forgotten. I just came back to the states from Belfast. I traveled and photographed as many of the murals as I could find. It left such a lasting impression on me that I came home to study the history of the troubles. Beautiful artwork with obvious great passion. Thank you so much for writing this blog. The information here was very useful for my trip in May!